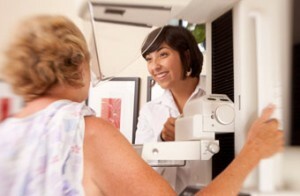 Mammograms are recommended after 40 years of age to increase early detection of breast cancer. Mammograms can save your life. They allow detection of breast cancer LONG BEFORE it can be felt by you or your Women’s Care provider. Women’s Care is proud to offer quality, computer-aided mammograms performed at one of the Women’s Care locations. We strive to ensure that mammograms are performed with quality and gentleness. We take breast masses very seriously and can provide same-day appointments for these. We provide quality, comfortable digital mammography services and can connect to rapid breast ultrasound and diagnostic mammography. Treatment for breast masses is based off these results. Women’s Care is devoted to providing our patients with the best breast care possible. If you feel a concerning lump or mass, make an appointment so we can see you as quickly as possible, even as soon as today.